The Mother City has seen many ups and downs along the bumpy road of the ongoing water crisis. More recently the province has received less than average rainfall for July. The July forecast predicted much more rain and even flooding combined with stormy weather, much to every Capetonian’s dismay, the bountiful showers did not show up and the dams levels have not yet pushed past the 60% mark. July’s rainfall levels were much lower than expected, with some weather stations recording less than a third of the normal July rainfall. Rainfall in the Jonkershoek mountain area, between the Berg River and Theewaterskloof dams, reached a mere 170mm for July, compared to the yearly July average of 535mm. 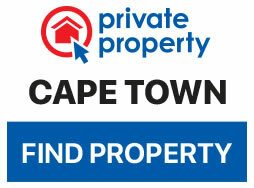 Weather experts say the recovery of surrounding areas of Cape Town are hinged on August and September’s coming rainfall. 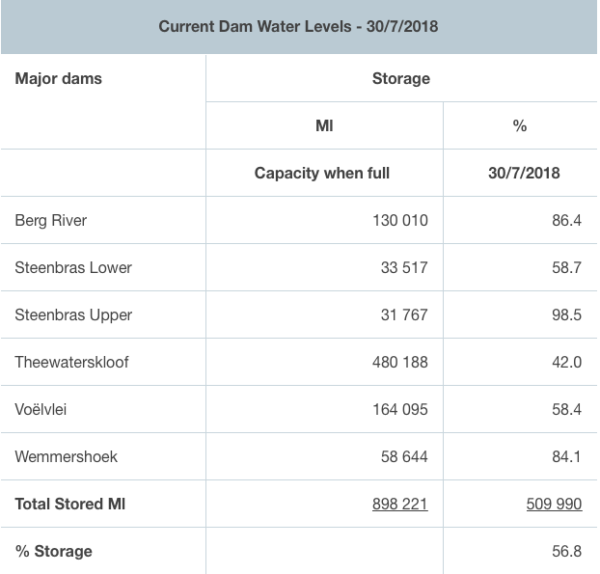 The average level of Cape Town’s dams is 56.8% of storage capacity, showing an increase of 0.4% from last week. 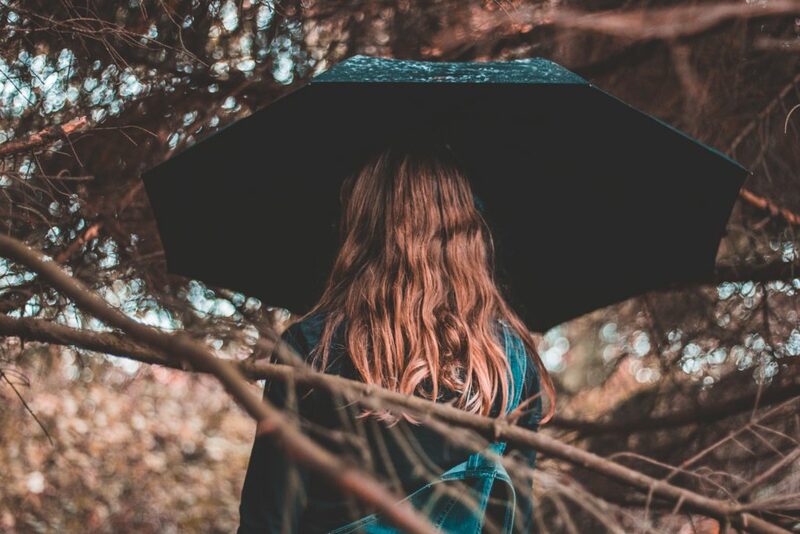 Rain was forecast to hit the Mother City last week Friday, but due to the cold front being pushed back most of the rainfall fell over the sea and was unable to feed catchment areas. SA Weather services have forecasted more rain, from today till next week Monday. Rain is expected in Cape Town on Tuesday, Friday, Saturday and Monday. The City celebrated residents this week as water consumption last week decreased by 32 million litres to 498 million litres per day, displaying Cape Town’s dedication to save water even with levels above 50% and especially after this past dry month.